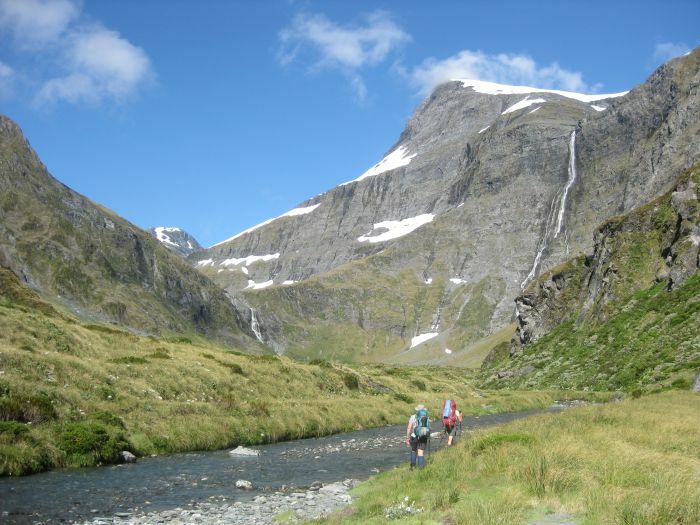 Following the main divide of the South Island in the beautifully named Mount Aspiring National Park, this is widely regarded as New Zealand’s hardest guided trek, with exposed sections and small footholds and ledges. But if you’ve got a head for heights, it’s just brilliant. Scenery ranges from rainforest to hanging glaciers, and mountain valleys and alpine meadows to huge waterfalls, and you’ll cover terrain featuring boulder scrambles and river crossings. Stay in spectacular campsites and mountain huts and look out for the world’s only alpine parrot, the kea. World Expeditions runs an eight-day trip called the Gillespie & Rabbit Pass Trek; see www.worldexpeditions.co.uk. 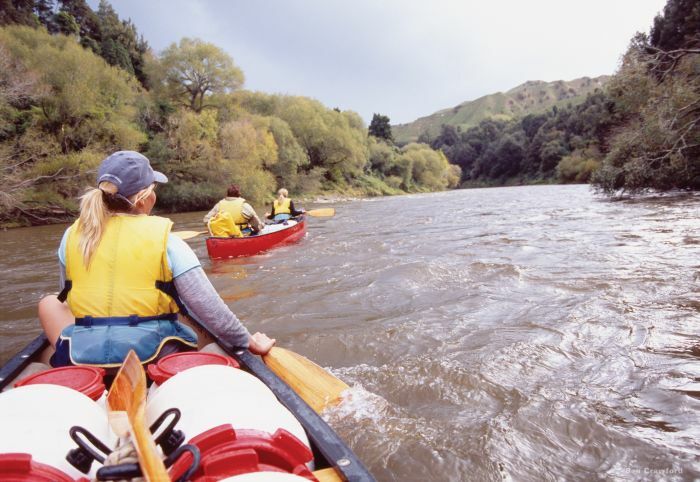 The Whanganui Journey is classed as one of New Zealand’s nine Great Walks but don’t be fooled – it’s actually a paddle, either by canoe or kayak, down the Wanganui River in the south west of the North Island. The usual route, from Taumarunui to Pipiriki, is 145km (90 miles) and takes about five days, or there’s a shorter three-day journey starting at Whakahoro. Expect remote beauty, paddling through deep gorges past cascading waterfalls, and find out the cultural significance of the river to the Whanganui Iwi Maori. A short bush walk to the Bridge to Nowhere, a settlement of returned World War 1 serviceman abandoned between the two World Wars, is a nice detour. See www.doc.govt.nz. New Zealand’s national cycle trail network is called the Nga Haerenga New Zealand Cycling Trail, and it has 23 trails spread across the two islands, offering something for everyone, from beginners and families to more experienced riders. 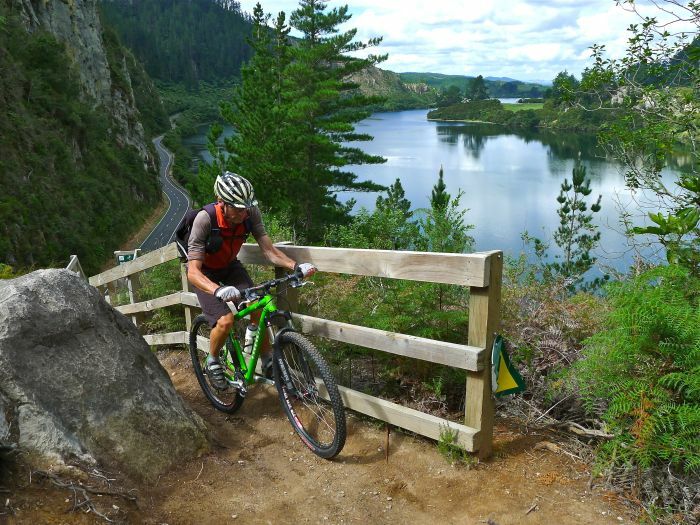 The Waikato River Trails in the North Island offer 100km (62 miles) of trails and up to four days of mountain biking, following New Zealand’s longest river. You’ll cycle through native and exotic forest, wetlands, and see historic landmarks, intriguing volcanic rock formations and expansive lake and river views. Suspension bridges and long, meandering boardwalks add to the excitement and Nga Haerenga says the mountain biking is for all abilities, from grade 1 (the easiest) to grade 4 (advanced). For information on all of the trails seewww.nzcycletrail.com. 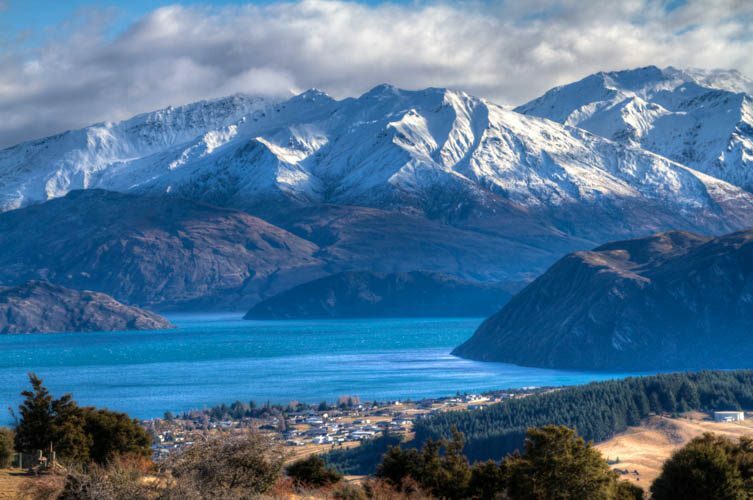 You haven’t been to New Zealand if you haven’t done something crazy like jumping off a tower. Some 400m above Queenstown, at the top of the Skyline Gondola, the Ledge Bungy offers a panoramic view over the area before you make the leap. 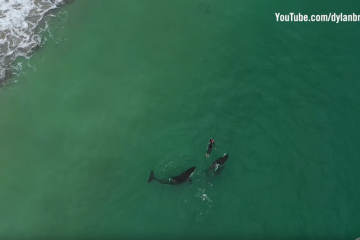 If you’re brave enough you can do all sorts of freestyle – twists, flips or even a handstand. If not just run, scream and do it. With adrenaline rushing through your veins and your heart beating nearly too fast, the amazing feeling won’t leave you for the rest of the day. 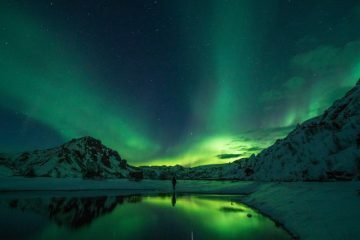 Or the night, because jumps in the dark are possible too. 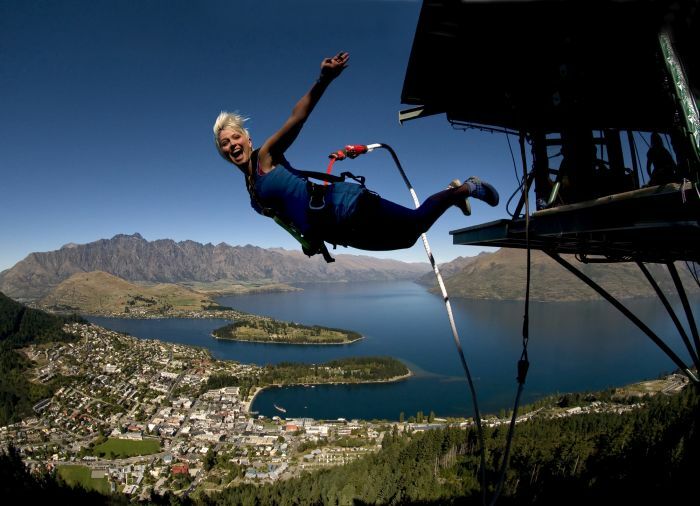 Queenstown offers all sorts of high-adrenaline adventures, such as terrifying swings, skydives and various other bungy jumps. Bring your ‘up for anything’ Kiwi attitude and be ready to take the challenge. See www.bungy.co.nz. 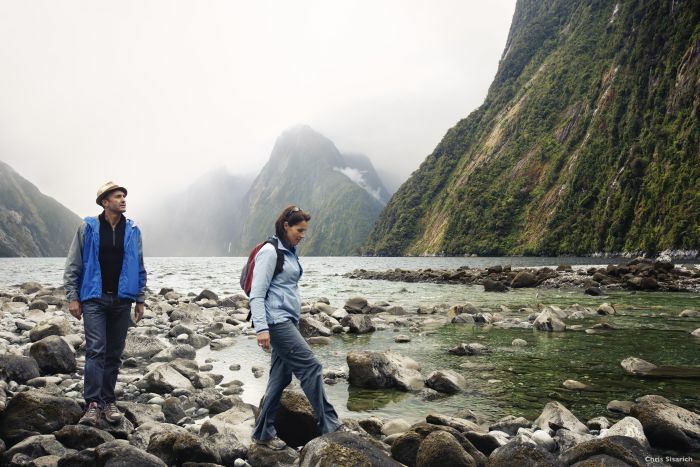 Milford Track is one of New Zealand’s most famous walks – and with good reason. 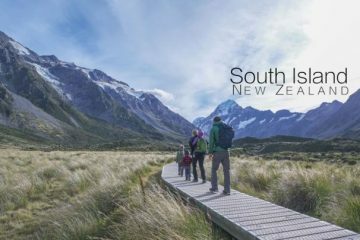 Traversing the rugged Fiordland wilderness region, in the southwest of the South Island and New Zealand’s largest national park, the 53km (33-mile) path usually takes four days. 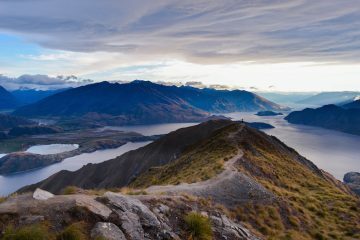 No more needs to be said about the scenery than that it starred in the Lord of the Rings trilogy, plus there’s the option of a side trip to Sutherland Falls, the highest waterfall in New Zealand. You start and finish the trail with a boat ride, ending up at the spellbinding Milford Sound fjord, where a canoe or boat ride is a must. 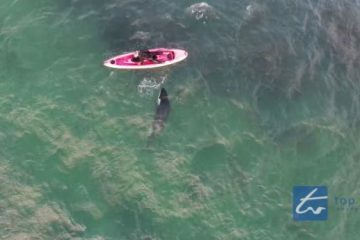 See www.doc.govt.nz.